The day starts with Sergei Krikalov giving an introduction into the history and future of international space programs. His introduction is filled with memories of training sessions in the US, while American astronauts conquered StarCity as a symbol of the international collaboration human spaceflight offers. Training purposes shaped the first attempts of establishing cooperation on the MIR-station, where also Franz Viehböck left his traces. Krikalov revises experiments and experiences, such as the first tryouts regarding a delayed Earth-Orbit communication. 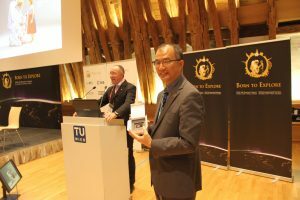 “We switched off all the communication systems in order to research how humans react once continuous communication can’t be guaranteed and therefore the groups require a higher degree of autonomy in space.” From today’s perspective we know that these purposes especially focus future missions to Mars, which have to deal with time delays of more than 10 minutes. Joe Acaba follows with an ISS status and a look forward from NASA’s perspective. After a brief overview of the more than 400 ton heavy and 27 000 km/h fast research facility, he dives into many details of recent and ongoing upgrades. After explaining the future energy storage system, which will be transferred to the station with the HTV-6, he asks the audience who will be the crew for it. The ISS will also receive multiple new galley racks, which house experiences, better food processing units and also a modern lighting system. In total, more than 2200 different experiments where conducted on the ISS and improved humanities knowledge in a wide array of disciplines, to improve our lives in space and also on Earth. One example: In recent times, more and more researchers found connections from nightly mobile phone use with sleeping problems. This is due to high intensity of the blue spectrum of screen light. This tricks our brain into believing it is still bright daylight around and hinders the mind to rest. Some modern phones allow the users to change the color spectrum of the screen at night and at the ISS where a full “day” takes only 90 minutes this knowledge can be used even more efficiently, where the lightning will start with a shifted spectrum and a peak in the blue spectrum. During the active day it will be bright white and when sleeping time approaches, the intensity of the red wavelength increases. 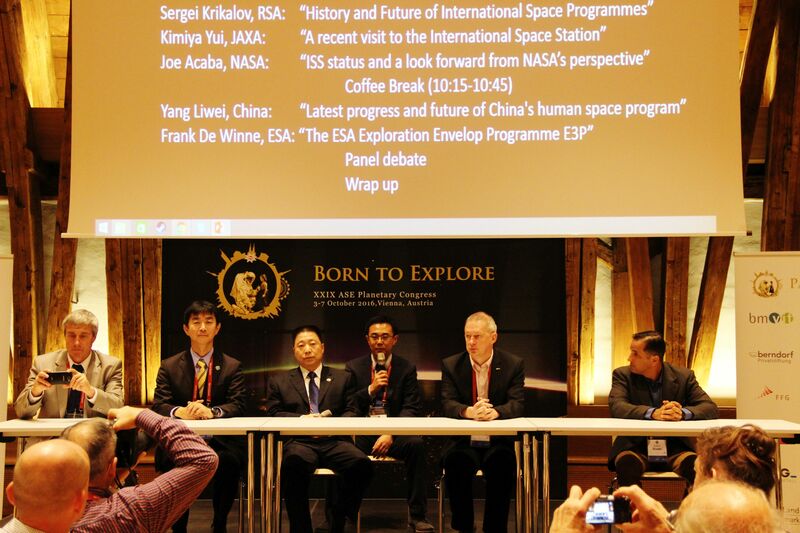 Yang Liwei, the first Chinese in space, gives an insight into this often unmentioned space nation – China. He sums up milestones in Chinese Spaceflight, such as rocket launches and a revision of accomplished missions in the past years. 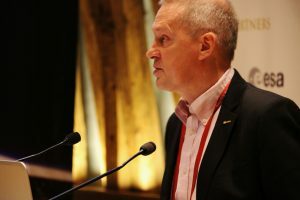 Frank de Winne follows with a detailed insight into the ESA Exploration Envelop Program E3P and mentions the three key elements of ESA research: LEO, Moon and Mars. The future of ESA exploration focuses on life-research and also planned manned missions to Mars. A further note needs to be addressed to the Women in Aeropsace lunch, which was provided during the break. 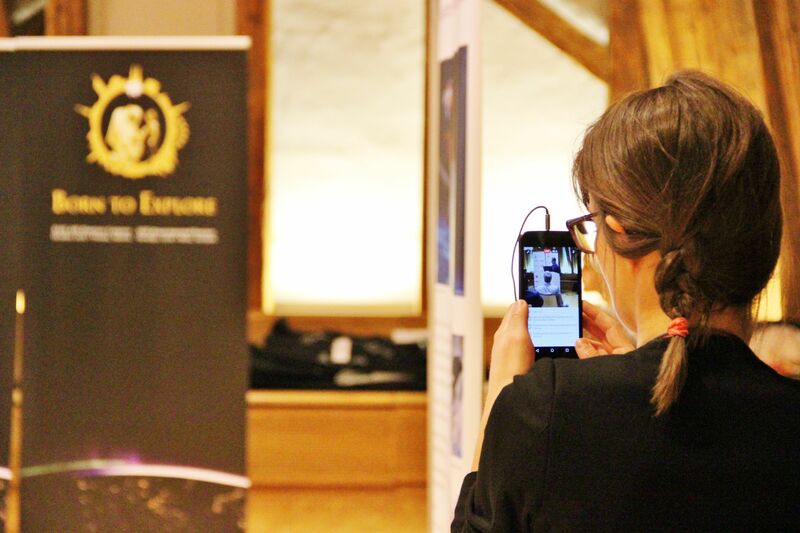 The association aims to encourage women to engage themselves in STEM fields and provides support and connections within the organization. A short but inspiring talk follows by the first female Japanese astronaut Chiaki Mukai, who specialized herself as a space medicine doctor. She emphasizes on the importance of sending female astronauts to space in order to deeply understand the human physiology in detail, but also addresses the obstacles women working in the space industry still have to conquer. One who has achieved that goal is Julie Payette, an astronaut who holds an encouraging speech about her life as an astronaut. 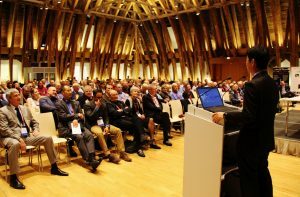 This year the ASE planetary conference is organized by the Austrian Space Forum (OeWF), which is presented in a lively speech by Dr. Gernot Grömer. He also focuses on education and the motivation a space association has to share to our next and young generation. Important factors are: Imagination, Hands-On and Ownership. He also honored the president of the ASE – Sōichi Noguchi – with the TiuTerra Crystal, flown on the ISS by Samantha Cristoforetti as a symbol for worldwide exploration. 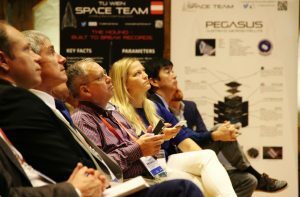 The second day of the ASE planetary congress allows the listeners to deeply understand life and research on the International Space Station and moreover to collect perspectives on future research and goals of space nations and industries. 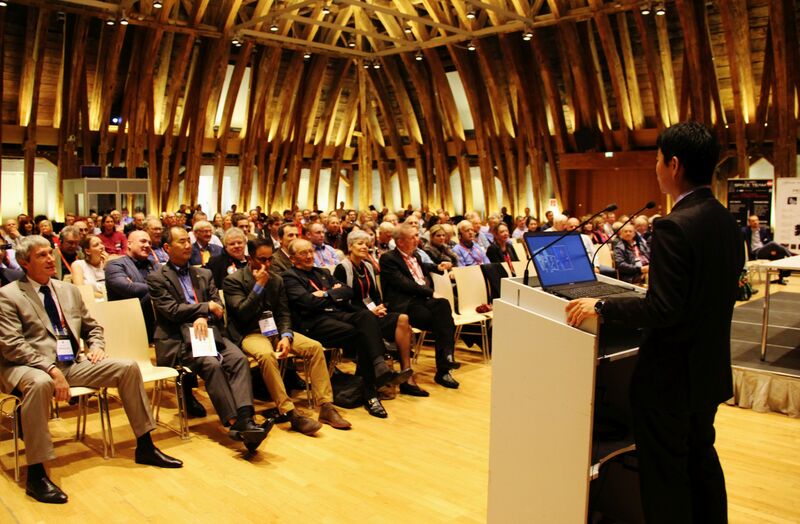 note: due to the length of this article we did not mention every speaker who joined the stage. Further, the selection aims to provide a brief overview on shared topics.